each week, the ITunes Store publishes approximately 200 new puzzle app games. I've taken it upon myself to sort through them and play test as many as humanly possible. I skip the ones that look like clones of Bejeweled, the 15 Puzzle and Candy Crush. 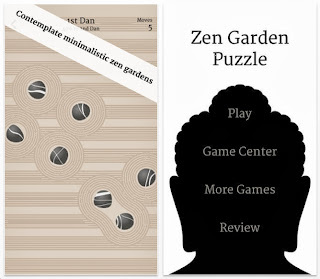 Yesterday I published a list of The Best Puzzle Apps of 2013. What distinguishes today's list from yesterday's? I was hooked on these more and played them more extensively. The order is loosely tied to the order in which they appeared. Please download these. A lot of them are free! Note: last year I was extremely remorseful because I forgot to include a really great fun puzzle. If I have written a good review of your game this year and forgot to include it in the list today or yesterday, it's probably an oversight on my part. Please shoot me a note, but don't shoot me. It's also possible that I never played your game! If that's the case, do let me know so I can play-test that. 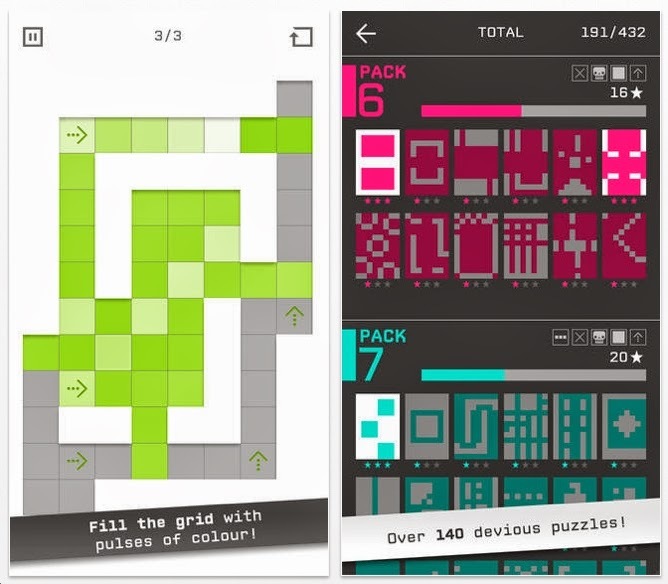 Ladies & Gentlemen: here are the Best Puzzle App Games of 2013. Tomorrow's list will be 'The Very Best Puzzle App Games of 2013. What's the difference? The Very Best Puzzle App Game: I've played them a lot more. Judging all these puzzle apps was subjective. During 2013, I played every one of these. And a lot more that did not make the cut. 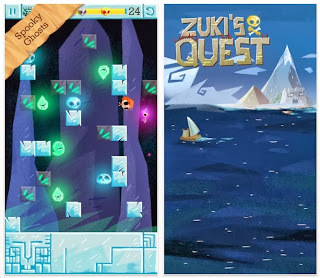 The order of these puzzle apps is based on approximately when they came out. Let's talk money. Nobody has paid me anything. 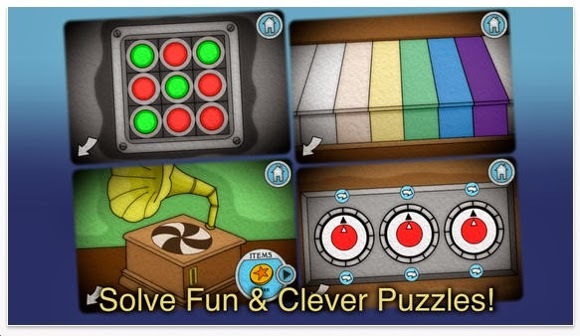 A lot of these puzzle apps are free. None cost more than $3. Please download these. 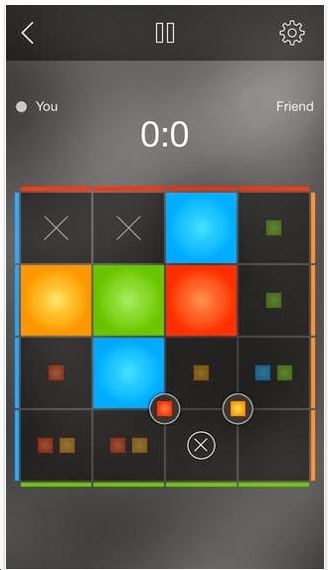 About 2 weeks ago I saw BlockSwipe as a new puzzle app and thought to myself 'looks like another swipe puzzle'. I ignored it. Image 1 looks a lot like past puzzles, which are usually quite good. Then about a week ago, I got a note from the developers asking me to give it a serious test run. Okay, I thought. Objective: You are the blue square and must collect the yellow stars and land at the bright yellow square. The first 5 or 6 levels - typical. After that, things got very interesting. 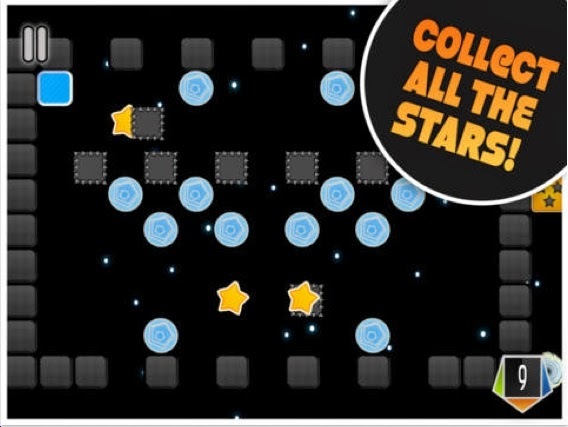 Besides finding the correct route to pick up the stars and then end at the big yellow square, you must dodge fast moving gray blocks. There's more! Look at image #2. See the green square? If you attempt to crash into it, you will bounce back rapidly. Look at the third image. See the red star in the bottom left? It turns on/off every 1.5 seconds. You will have to traverse it. The white blocks are ice. You can crash into them once and they will crack. The second time, they will disintegrate. The Red Squares (no image here) make you red-hot. If you touch another red square, you will burn up. Before you touch another red square, you will need to cool off by hitting an ice block. I completed 25 levels perfectly. I was so proud, I wrote to the developers asking them to inform me right away of future levels. 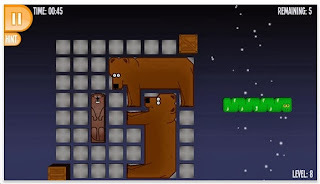 I didn't notice the other 125 levels! Since then I've completed about 130 levels. I can't stop playing this game. I love this game! 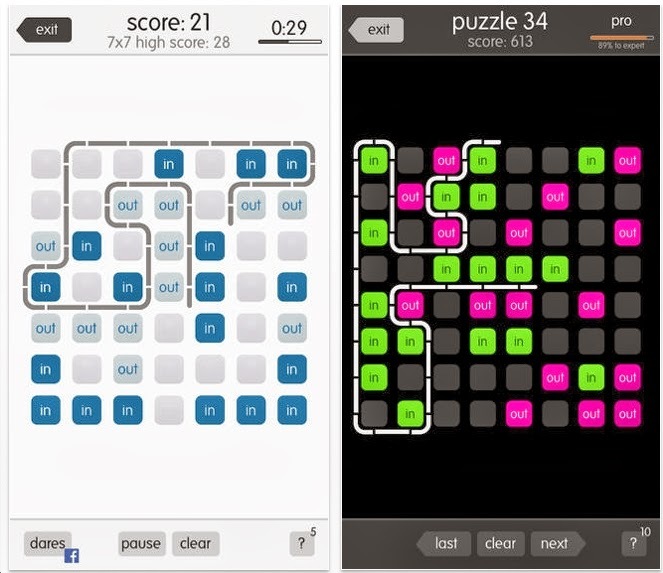 Definitely one of the Best Puzzle app Games in 2013. 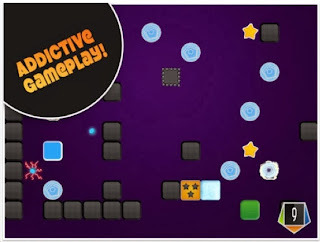 BlockSwipe is very reminiscent of The World's Hardest Game. I played that about 5 or 6 years ago and gave up after level 25 or so. 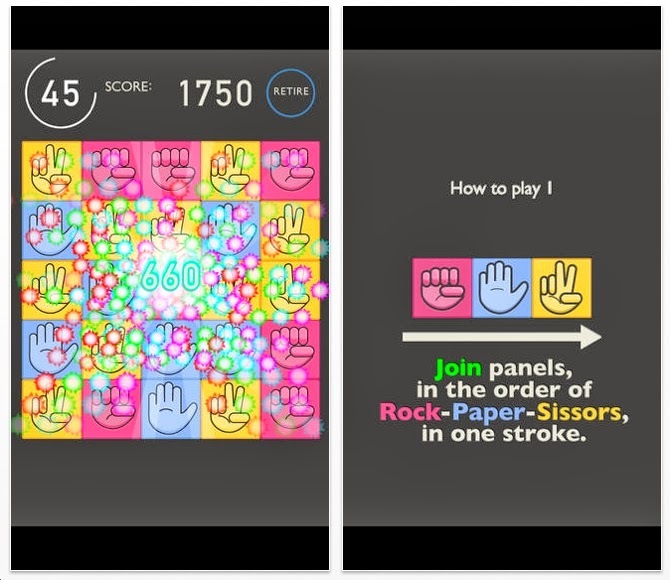 R.P.S.25 is a point scoring puzzle game app for the iphone, ipad. Swipe orthogonally in this order: Red, Blue, Yellow. Same thing as Rock, Paper, Scissors. You score more points for a long chain. 60 seconds is your total time. The user interface is nice. 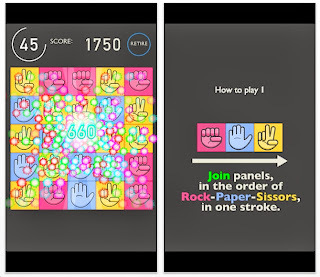 R.P.S.25 is a free puzzle app game. 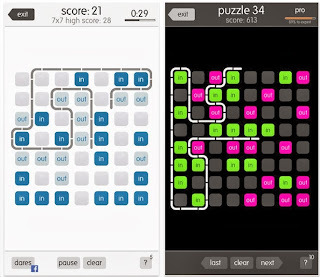 It is not going to make the List of Best Puzzle Apps of 2013. That list will be published on December 30 and 31. Stay tuned. 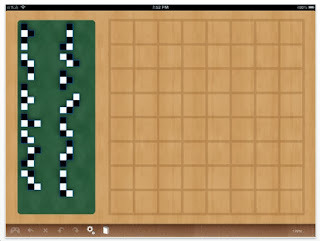 Have you ever played Dots & Boxes? NYC school kids have been playing it for decades. The object is for players to draw 1 line at a time. The person who completes a box gets to write their initials. 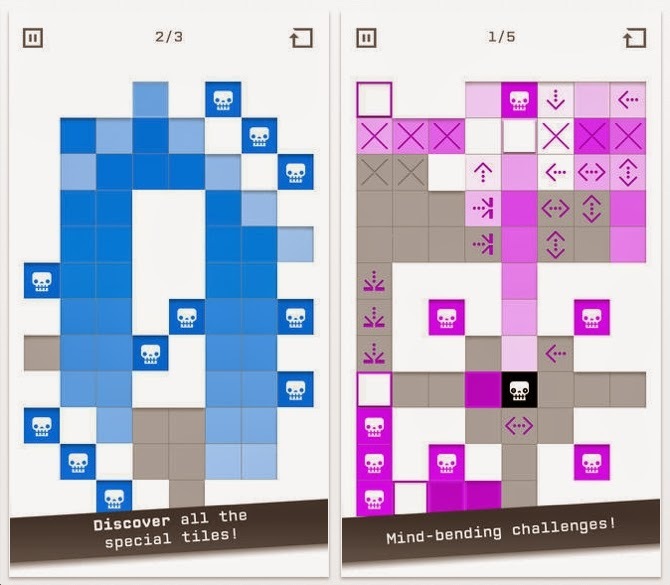 Forcos is a new puzzling app strategy game that is a worthy successor. On each move you should paint one of the 16 squares using one of four colors (red, yellow, blue and green). 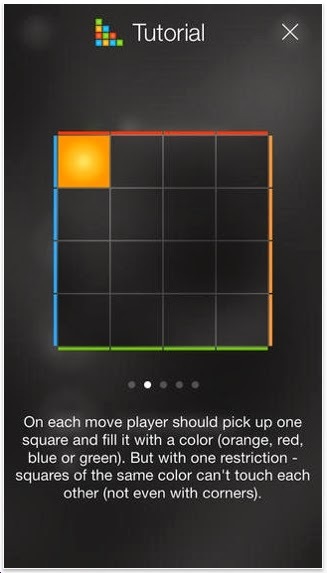 There’s only one restriction: squares of the same color can't touch each other (not even with corners). The winner is the one who paints the last available square. You can play against somebody or you can play against the computer. Forcos is fast, challenging and fun. And it's free! Multiple people have told me about Cross Blocks: a free puzzle app game for the iphone and ipad. The object is to remove all of the blocks by tapping at an intersection that joins like-colored blocks. Cross Blocks combines sequential movement with other elements. 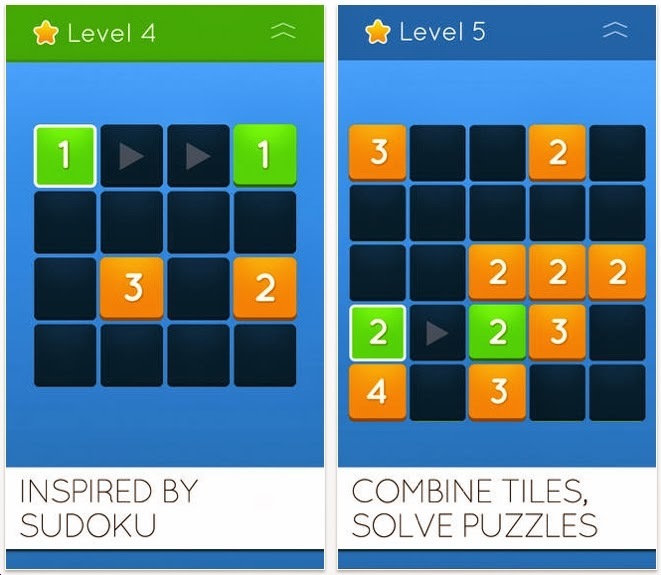 For example: 2 blue squares right next to each other - impossible to eliminate them at the same time. 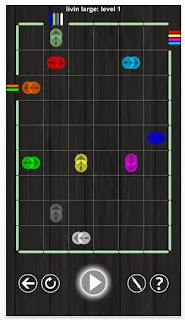 Also, it's possible to eliminate 3 of the same color all at once- provided they form a T junction. 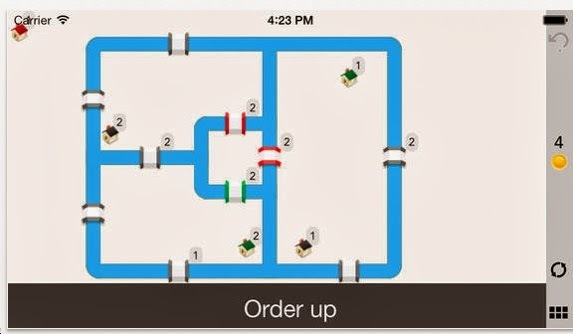 I solved all of the levels in the A world and B world pretty quickly. Then I purchased the additional levels. I particularly liked D-16. And I'm still stuck on D-19. Altogether, there are 80 levels and I've done about 65 of them. I tend to do these when I wake up and cant go back to sleep. Heads-Up! 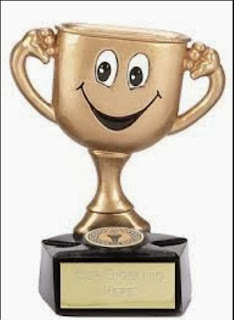 The Official List of Best Puzzle Apps 2013 will be announce December 30th & 31st. Get your party hats on baby. I downloaded Route-Out about a month ago and then forgot about it. 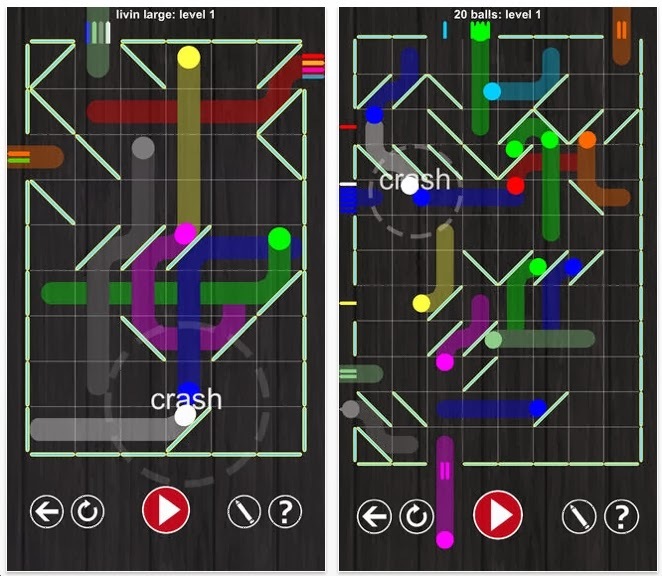 It looks like one of the many laser/maze/mirror puzzle app games. Look at the third image. 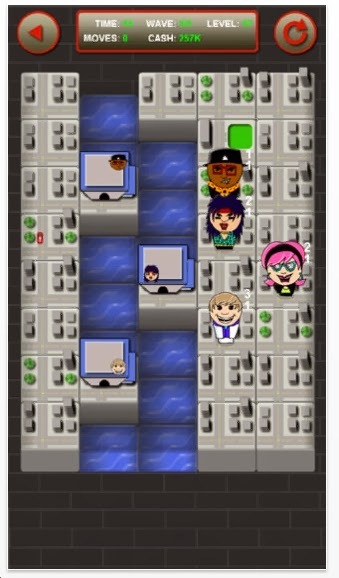 This is how a level appears. See the blurred images? The red circle is moving to the right. I find this annoying because the arrow clearly indicates which direction it will start when the play button is pushed. Also, this uses up a lot of the battery. Anyway, the object is to place the reflectors on the grid so that each color goes to its predestined exit. One interesting feature is the ability to draw a path with a virtual pencil. You may have planned it perfectly, but then when you hit play, 2 balls collide. 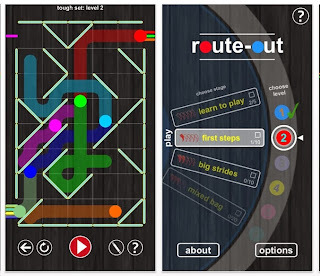 Route-Out has 90 levels, and they do get tricky! I've solved 87 of them. Lots of fun! 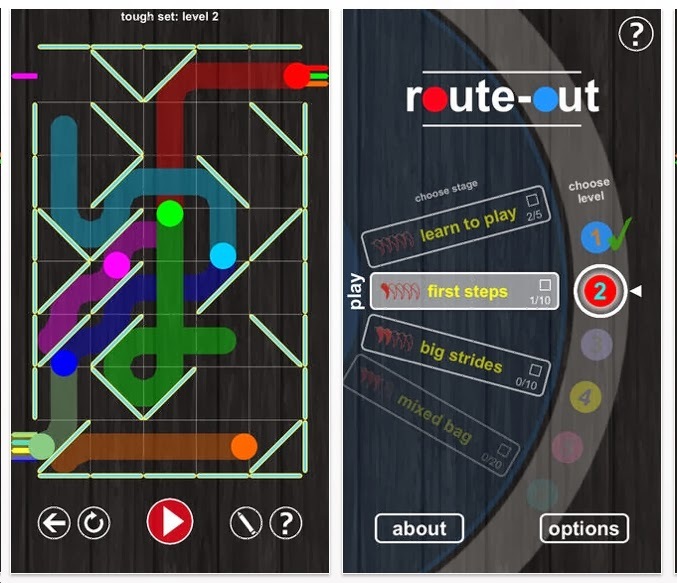 Bottom Line: Route-Out is a terrific puzzle game app. And hey, it's free! Spooky Manor comes from the people who made Mystery Lighthouse and other similar games. Spooky Manor is like Myst. You must walk around, pick up objects, use them in other locations....you get the idea. My son watched a walkthrough solution and has memorized the entire game. He showed me the game from soup to nuts in about 10 minutes. It was quite funny. 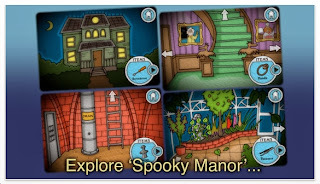 Spooky Manor has great graphics, I really like this game. Peter Simon recently contacted me about his new puzzle app game that he built with his brother. Their studio is called Demon Apathy and their game is Critter Fitter. You are an alien and your task is to gather earthlings and fit them into your cargo. Essentially, this is a packing puzzle. I'm not a big fan of packing puzzles. But these are cute. 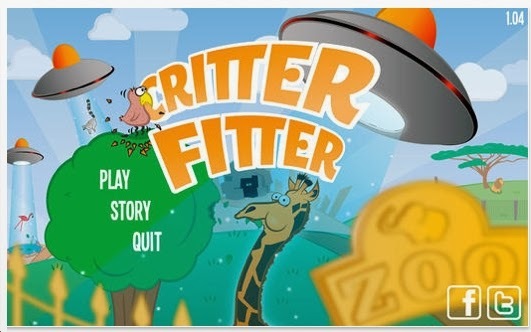 I think Critter Fitter would appeal to the younger puzzlers. They're not easy! Altogether there are about 40 levels. I've done 18 of them. The graphics are good, not overly done. The puzzles are challenging. What more do you want? My friend Nicola (click here to see his blog about puzzle apps) told me about Tricky Circles. It's hard to describe. 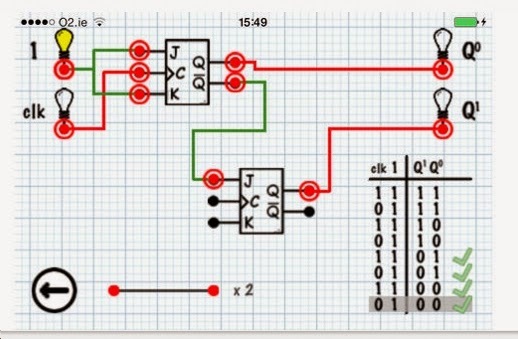 But the object is to start at one of the circles and travel to each circle by moving the corresponding number of steps. 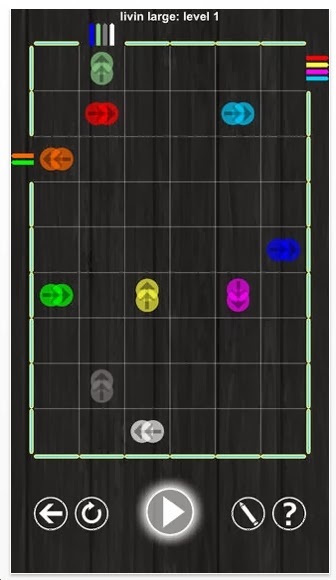 If you can reach all of the circles in one route, then you've solved it. 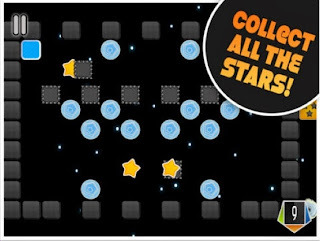 The first 21 levels are free. 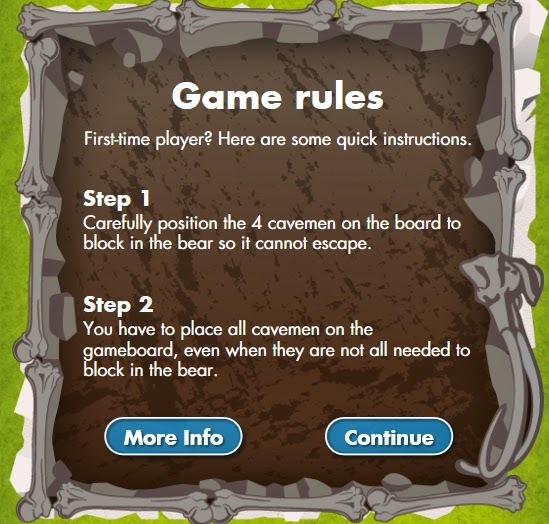 Even though I understood the rules, it took me forever to solve level 1. You can't tap the numbers. You must have one long continuous swipe. I think I've seen this concept before. But I cant remember the name of the related app. Can you? I solved the 21 puzzles in about an hour. 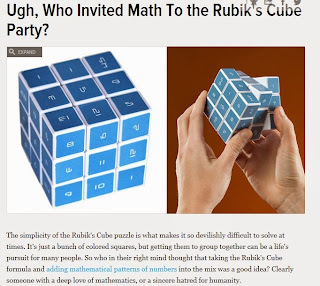 Then bought the next 21 and solved those too. 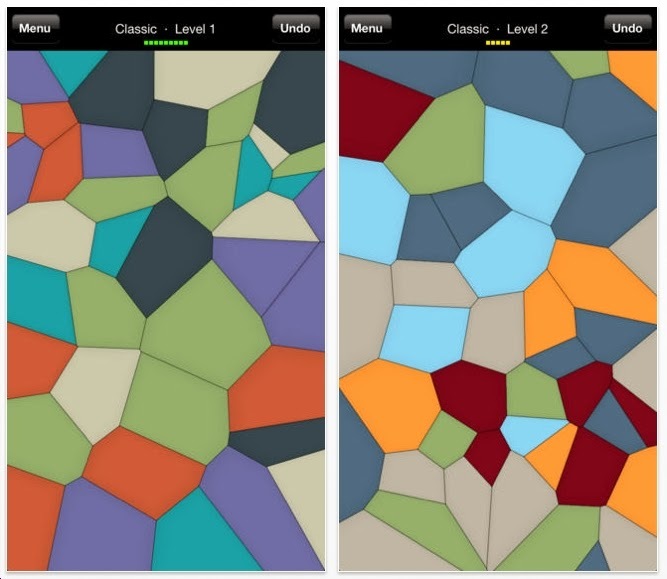 Tricky Circles is well done. It is worth your time. 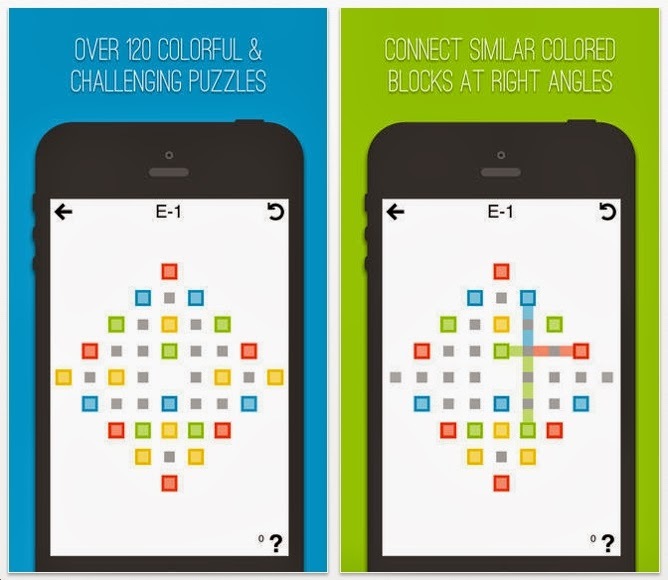 Even Up is a puzzle app game from Kurt Bieg. See the first image - how it's 'Inspired By Sudoku'? It has nothing to do with Sudoku! I would say that Even Up is much closer to Fling and Lunar Lockout. Fling is a terrific puzzle app. Lunar Lockout is a regular puzzle from thinkfun.com. It's also similar to LogiSquares. 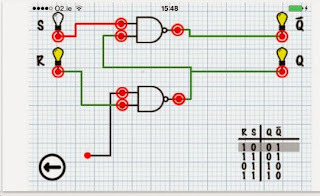 The object is to connect number pairs that will grow and grow. Hard to put in words. Look at the first image that says level 4. The 1 in the left will go to the other 1 and become a single 2. Then that 2 will go down to the other 2 and become a single 3. Finally, the 3's will merge to form a single 4 and you're done. This concept is not new. 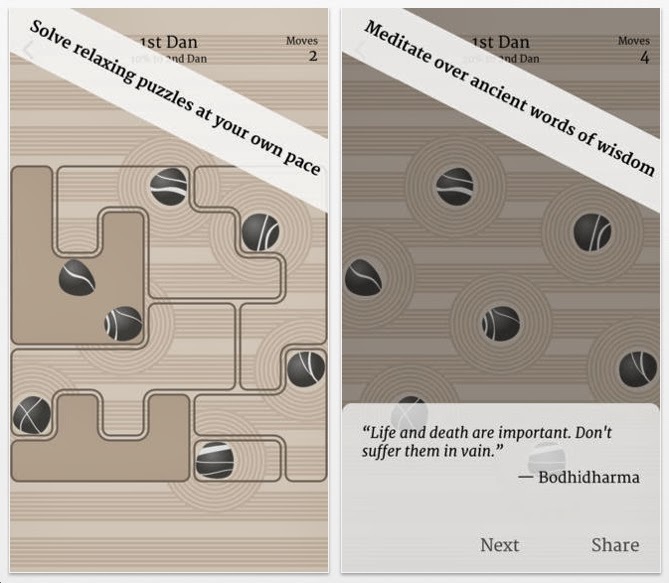 About a year ago I played another puzzle app that was identical called Moskeez. That's okay. Even Up has 125 levels. The puzzles are very well designed. The graphics are perfect and terrific. 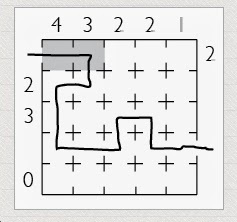 The first 25 are 4x4 grids and are beginner. 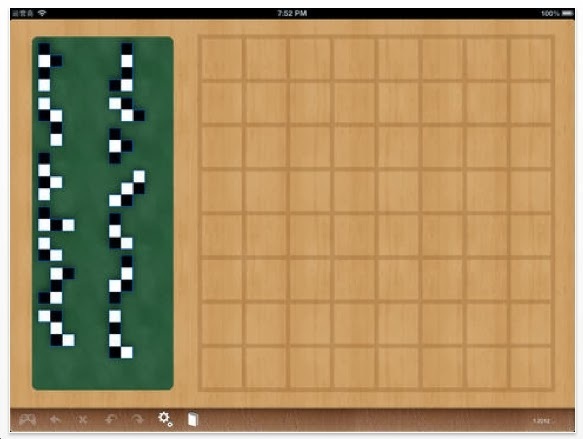 The next 25 have the same grid size and are novice. Those are followed by 25 Intermediate 5x5 grids, 25 Advanced 6x6 grids and then 25 Expert 7x7 grids. Many of these puzzles may have more than 1 solution. However sometimes it's hard to tell. I particularly liked the design of Intermediates 8 & 22. I'm almost certain that those have only 1 solution. 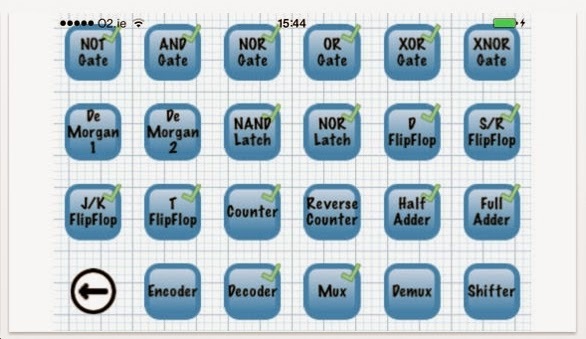 Right now I've solved 101 of the 125 levels. What's also interesting is that you can create your own levels and then share them. At the moment, sharing is not possible, but you can create them. 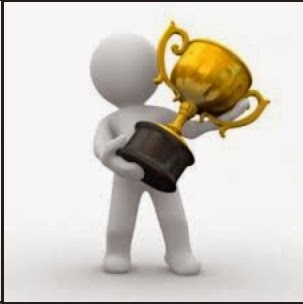 I think everybody should create their own level - it will help you understand the process of solving. http://vimeo.com/79616059 Check out this Rubik's Cube Building! Zuki's Quest is billed as a physics puzzle. It's really not. It's a tilt maze puzzle. The object is to slide up/down & left/right until you pick up all of the tokens. 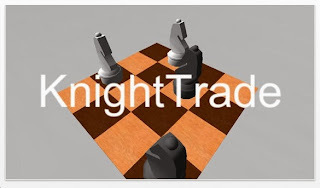 Hopefully minimizing your moves. There are some interesting features: spikes - crash into them perpendicularly and you will die. Slide along them, and you're okay. Some blocks can also tilt with you. Try not to get crushed by them. Wooden blocks - crash into one of them and they will crack. The second time, they will disintegrate. 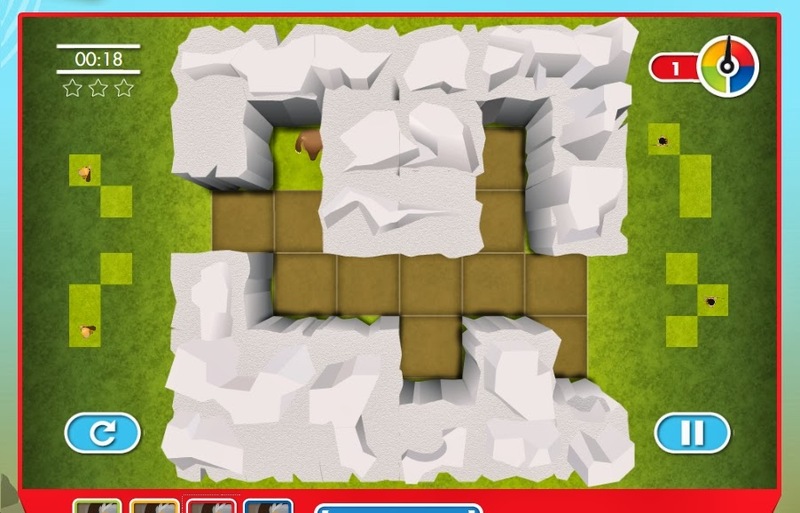 This feature we saw in another puzzle app game called Woodhead last year. One problem I have with Zuki's Quest: when you lose, your man changes to a skull and the screen shakes a lot. Very annoying. There are 72 levels. The first 24 are free. I did 15 of them. 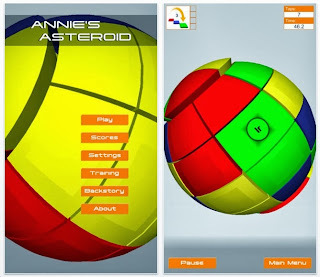 I'm not crazy about the graphics or, as I mentioned, the dizzying shaking when you fail. Nevertheless, the puzzles themselves are pretty good. 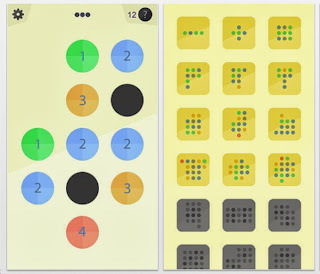 Voro is a puzzle app game where the object is to eliminate all the colored tiles by grouping them. Look at the first image. Grab the light green shape in the bottom left and try to connect the other greens in the center. If you can get 4 or more together, they will disappear. 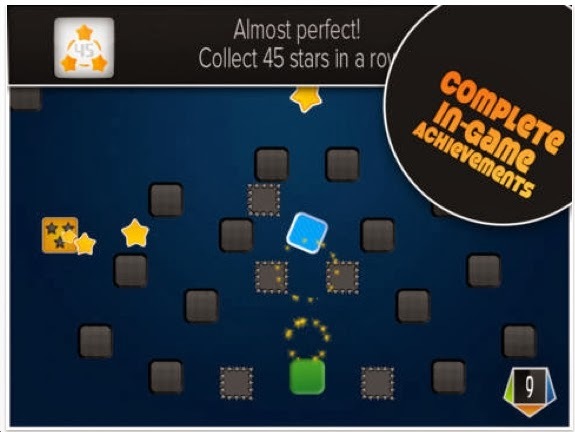 Each puzzle level allows you 24 steps. There are 64 levels and I've done 41 levels. Voro's graphics are outstanding. You must download this fast because it's free for a limited time. Definitely one of the most unique puzzle app games of 2013. Heads-up: The List of Best Puzzle Apps of 2013 will be announce on Dec 30 and Dec 31. Stay tuned. Want to buy a great set of spatial reasoning puzzles for a young puzzler? 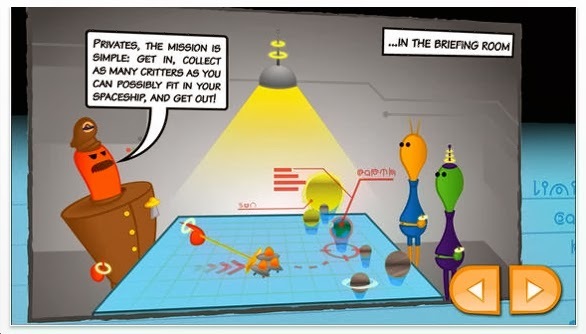 Please consider my product for Mindware.com: Lab Mice Puzzles. Barnes & Noble is now carrying it. Next time you're in one of their stores, take a picture of yourself holding a copy, send me the picture and maybe I'll post it on my blog and give you a prize! Happy Thanksgiving. Next post will be on Monday. 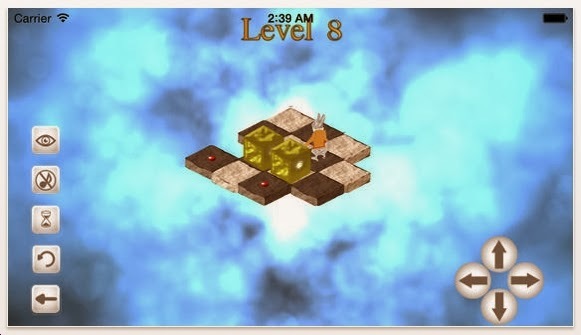 Raf Peeters has created numerous puzzles for Smart Games Live over the years. 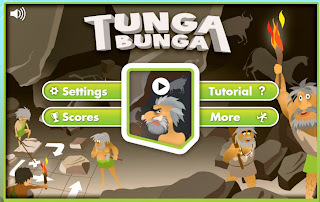 His latest has a caveman theme: Tunga Bunga is the title. 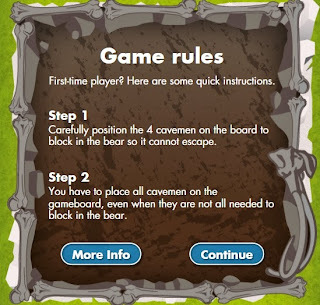 The object is to place the tiles onto to the board so that the hungry bear cannot escape off the grid. 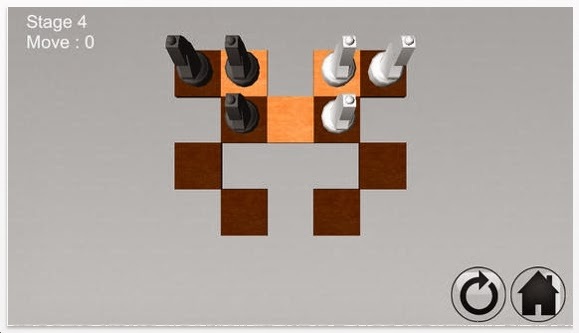 Look at the example below: note the pieces can be rotated. You really just need to block off the two exits. But every piece must be placed onto the board. There are 72 levels in the easy, medium and hard levels. I did a few of the easy ones then jumped to the expert levels and did 9 of the 24. These are challenging! You are given the same 4 pieces every time. 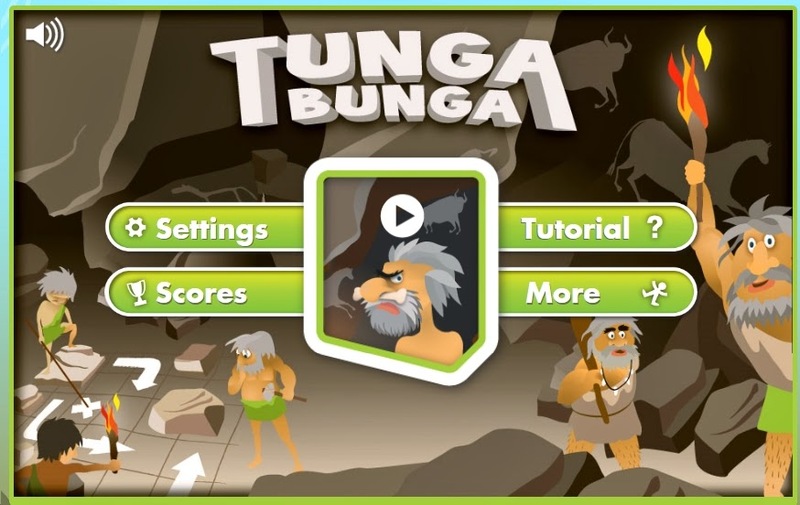 Tunga Bunga is the perfect game for elementary school kids. I can imagine teachers letting their students play this as a reward. 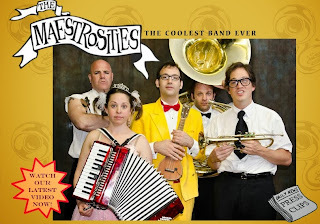 Besides being a terrific juggler, Rod is an accomplished musician with the Maestosities. He's the trumpet player. About a year ago, they made a pilot tv show. I threw in some money via kickstarter, got a t-shirt and saw the premiere. It was hysterical! I generally do not watch sit-coms either. 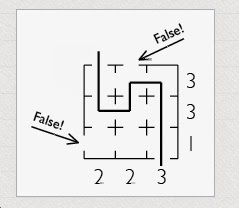 But this post is really about a new genre of pencil puzzles called Path Puzzles. The object in Path Puzzles is to find a route from the entrance to the exit so that the numbers on the top and sides match the number of squares used in that column or row. There are some sneaky features like not knowing which spaces are the entrances/exits. 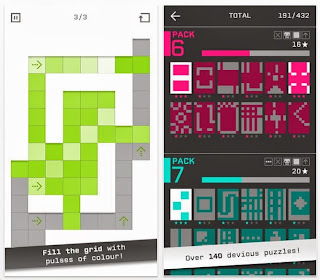 Path Puzzles come in all grid sizes and some funky irregular shapes. There's a good mixture of easy, medium, & hard puzzles. Most importantly, they're fun. The final batch of puzzles is encrypted. Which means that each number is replaced with a letter. So it adds a little cryptology to the mix. $12 is a bargain, considering that it will provide you with a good 15 hours of entertainment. Note: bad movies cost the same and use up only 2 hours of your time. Buy the book! 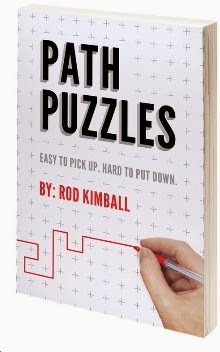 Then bring it with you to the New York Puzzle Party Symposium in February and get it autographed. Rod will be there. New Yorkers: I'll be selling puzzles this Saturday 11/23 at a Fall Festival at the Church of the Heavenly Rest. 2 East 90th st. Right off 5th avenue. 1 block north from the Whitney museum. Come say hi and tell me which puzzle apps you've been playing. 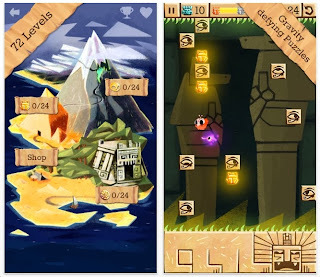 Professor Max is a sokoban series of puzzles. The first 20 are free. I solved #s 1 & 20. I want to like this set of puzzles. You have the option of making it 3D or 2D. Either way, the movement is too slow and I'm impatient. Perhaps you're a sokoban fanatic and can't get enough of these. If so, give this a try and let me know if these are good. 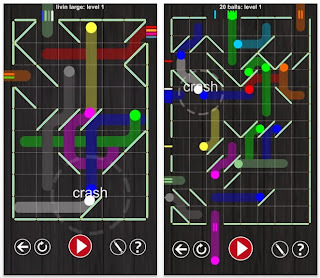 Cross the Line Puzzle Game is another topology puzzle app game. The idea is to cross each bridge once. Kind of easy if you know the key on where to start and where to finish. On higher levels, the idea is to cross each bridge a specific number of times. 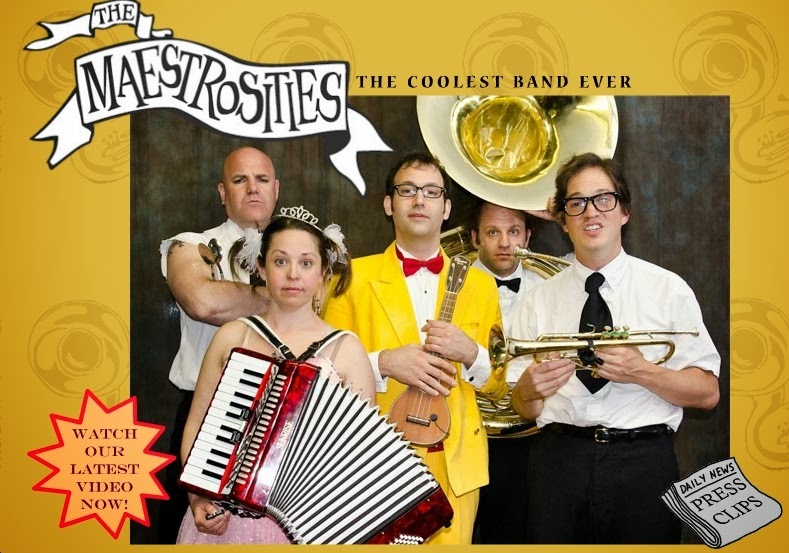 There are some variations - and they're good! Houses and Colors is challenging. Cross a yellow bridge to turn yellow, then find the yellow house and tap it. Very clever & tricky. Another theme of Houses and Colors is called Tolls. In Tolls, you must collect a coin from each house to pay a toll to cross some bridges. 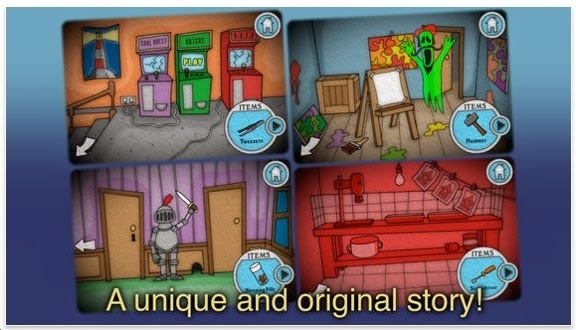 Some houses have multiple coins, buy you cannot grab them all at once. You must exit the area and return to get the 2nd coin. There is one particular level in Tolls that I've spent at least an hour on. There are 80 levels. I've done 69 of them. The graphics are not very good. 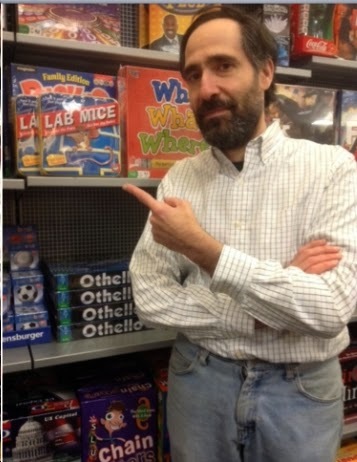 But the puzzles are. However, the ads are frequent. Not just after you're solving a puzzle, but in the middle. And it seems like every ad is for the evil Candy Crush. At least 10 times this happened to me: I tapped to move my man to a spot.......but a nano second beforehand, the Candy Crush ad popped open. Therefore, I actually tapped on the ad which directed me to the App Store. Not only did it interrupt my game, it eliminated all my progress on that specific level. Extremely annoying. I decided to turn off the wireless to play uninterrupted. 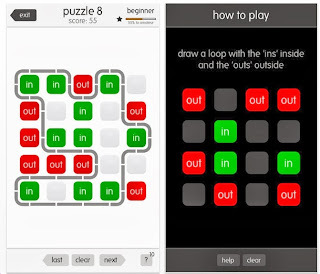 Andrew Kallem recently contacted me about his puzzle app game Ins and Outs - A Casual and Competitive Puzzle Game. The object is to form a loop around all of the 'ins' while leaving all of the 'outs' outside the circle. There are 900 free puzzles. 100 levels for the 4x4 grids, 100 for the 5x5's.....all the way up to 100 for the 12x12's. I've done a lot of these - simply because they're addictive and fun. 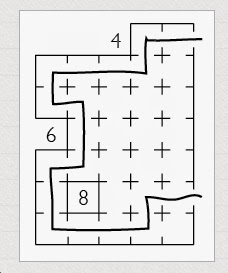 The grid sizes of 7x7 and smaller - I can do those in seconds. The 12x12's can get tricky, but not terribly so. Ins and Outs - A Casual and Competitive Puzzle Game is unique, fun and dammit, I'm going to solve all 900 free levels. At the moment I've done about 600.